Customers and industry experts have long been impressed by the Kia Sorento specs, and now this SUV has one more award to prove it! The 2016 Sorento was awarded with the “Most Loved Vehicle” honor in the Mid-Size Crossover Utility Vehicle segment, presented by Strategic Vision. This coveted award demonstrates the high level of satisfaction that this SUV inspires within a competitive market. Find out what makes the Kia Sorento stand out, then head to Jeffrey Kia for your test drive! The “Most Loved Vehicle” is bestowed by the research consultancy, Strategic Vision. For over 20 years, this award has been given to vehicles that are exceptionally well-received by consumers. After three months of owning a new vehicle, nearly 40,000 customers were polled through surveys. The comprehensive surveys walked customers through 120 factors to assess their satisfaction with the new purchase. Results were compiled into a “Customer Love Index” of total scores, and the brilliant Sorento ranked at the very top of the list. So, why has this SUV captured the affection of so many drivers across the nation? The Kia Sorento specs provide something for every driver. Whether you want the power of a V6 or the efficiency of an I-4 powertrain, you’ll find a perfect match within this lineup. The standard 2.4L I-4 engine delivers 185 hp with 178 lb-ft of torque. The 2.0L turbocharged engine generates 240 hp and 260 lb-ft of torque. The available 3.3L V6 engine roars with 290 hp with 252 lb-ft of torque. In addition to its terrific power, the Kia Sorento also delivers premium safety for drivers and passengers. The 2017 model earned the IIHS Top Safety Pick+ Award for spectacular performance, thanks to features like the optional Front Crash Prevention system. 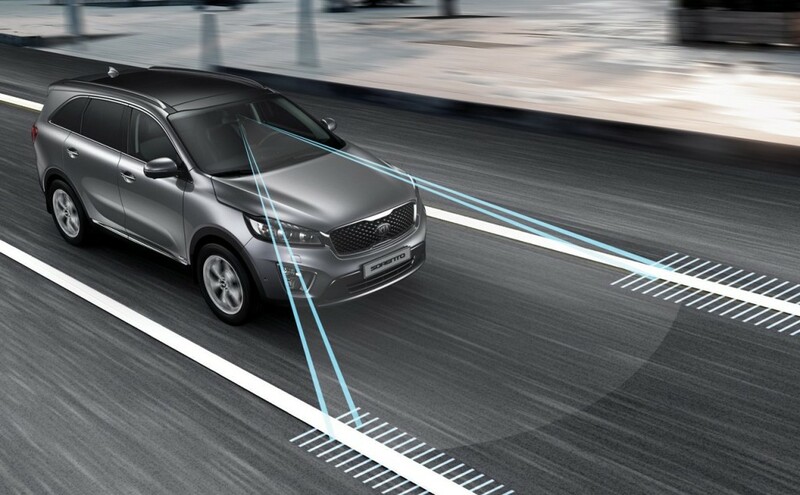 Drivers can equip the Sorento with state-of-the-art drive-assist features, which use predictive technology to prevent problems on the road. The available Advance Smart Cruise Control adapts to the traffic conditions, automatically decreasing speeds when other vehicles slow down. The optional Surround View Monitor takes the stress out of parallel parking by providing an overhead image of your surroundings. Plus, drivers can steer with confidence, while following the guidance of the sonar and camera systems. Between the powerhouse performance and reassuring safety features, it’s no surprise that the stellar Kia Sorento specs win over so many customers. See why this SUV is the “Most Loved Vehicle” in its class with a trip to Jeffrey Kia. Contact us online with any questions!